Tortured and denied access to Medical Services..
Mr Bhanudas Karale was released by the Pakistani authorities on Friday 15th of June 2012. Mr Karale’s brother, sons and nephew met him for the first time following his release on Sunday 17th of June. The family travelled from Mahrashatra to Amritsar to meet and collect Mr Karale. Mr Karale has disclosed that he was tortured upon his detention by the Pakistani authorities and denied access to medical and legal advice as well access to Consular sevice. This is in gross breach of international human rights legislation. Further Mr Karale was not tried let alone convicted in a court of law of any offence(s). The Pakistani authorities failed to notify the Indian authorities that they had arrested and detained an Indian national. Pakistan is a signatory to the Vienna Convention on Consular Relations. Mr Karale aged 58 years who has a history of suffering from mental health problems left his family home in Ahmednagar in Maharashtra in India sometime in 2008. I understand from Mr Karale’s family that he would often leave his family home for periods of time without an explanation. It is believed (but not confirmed) that Mr Karale was was arrested on the 28th of August 2010 by the Pakistani authorities for allegedly illegally entering Pakistan. There is no evidence confirming that Mr Karale was charged or indeed tried in a court of law for alledgedly entering Pakistan illegally. Following his arrest Mr Karale has been detained in Kot Lakphat Prison, Lahore in Pakistan. The Pakistani authorities failed to notify the Indian authorities that they had arrested and detained an Indian national. Further, Mr Karale was denied the benefit of Consular Services and legal advice. I received a recording of an interview with Mr Gulab Singh an Indian national who was released by the Pakistani authorities in August 2011. Mr Gulab Singh was interviewed by Mr Neeraj Sharma, who is a senior journalist with the ‘Punjab Kesari’ immediately after Mr Gulab Singh crossed the Wagha Border into India following his release. Mr Gulab Singh produced two letters; one from Mr Bhanudas Vitthale Karale and the other from Mr Satinder Paul Singh both letters were pleading for help to secure their respective release. Mr Neeraj Sharma forwarded both of the letters and the video recording of Mr Gulab Singh’s interview to me. Mr Satinder Paul Singh’s letter did not contain his family’s address in India whereas Mr Bhanudas Vitthale Karale did. I wrote to Mr Bhanudas Vitthale Karale’s family and urged them to forward documents verifying Mr Karale’s identity and advised them to contact various Indian authorities to alert them to the fact that Mr Karale was unlawfully detained in Kot Lakphat Prison, Lahore Pakistan. I also advised them to contact Mr Neeraj Sharma in India. I understand Neeraj Sharma also wrote to Mr Karale’s family. Mr Karale’s nephew, Nitin Karale contacted me and Mr Neeraj Sharma. Nitin confirmed that his family were unaware that Mr Karale was in a Pakistani prison. Mr Karale’s family reported him to the authorities as a missing person and were trying to ascertain his whereabouts. Nitin Karale immediately arranged to forward the documents verifying Mr Karale’s identity to me. I received confirmation from the Indian authorities that now that they are in receipt documents verifying the respective identities of Mr Bhanudas Vitthale Karale and Mr Satinder Paul Singh, they were confident that both men will be released shortly. I mentioned these cases to Mr Sheikh. He asked me to forward the evidence including copies of the identity verification documents which I did. Mr Sheikh issued a petition in the Lahore High Court annexing and referring to the evidence that I had provided together with the copy identity verification documents in or around October 2011 seeking an Order for these two prisoners to be released. On the 3rd of November 2011, the High Court of Lahore Ordered Mr Bhanudas Vitthale Karale and for Satinder Paul Singh to be released and in addition Ordered all Indian prisoners who had served their respective sentences to be released upon production of documents verifying their respective identities. It is believed that 30 Indian prisoners have served their respective sentences and are currently waiting to be released. That is a total of 32 prisoners which includes both Mr Bhanudas Vitthale Karale and Mr Satinder Paul Singh. Mr Satinder Paul Singh was released on Sunday 8th of January 2012. 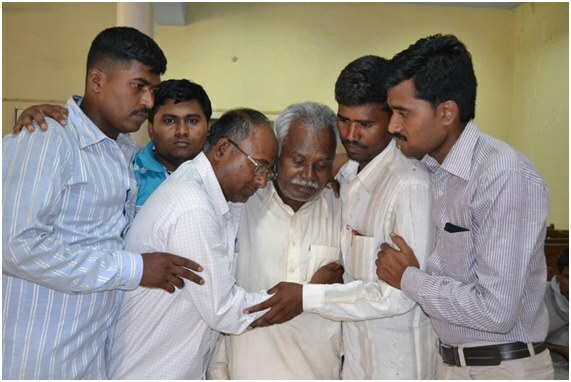 Mr Bhanudas Vitthale Karale and the remaining 30 Indian prisoners are yet to be released. Under Article 36 of theVienna Convention on Consular Relations, 1963(VCCR), local authorities must notify all detained foreigners “without delay” of their right to have their consulate informed of their detention. At the request of the national, the authorities must then notify the consulate without delay, facilitate unfettered consular communication and grant consular access to the detainee. Consuls are empowered to arrange for their nationals’ legal representation and to provide a wide range of humanitarian and other assistance, with the consent of the detainee. Local laws and regulations must give “full effect” to the rights enshrined in Article 36.
consular officers shall have the right to visit a national of the sending State who is in prison, custody or detention, to converse and correspond with him and to arrange for his legal representation. They shall also have the right to visit any national of the sending State who is in prison, custody or detention in their district in pursuance of a judgment. Nevertheless, consular officers shall refrain from taking action on behalf of a national who is in prison, custody or detention if he expressly opposes such action. The rights referred to in paragraph 1 of this Article shall be exercised in conformity with the laws and regulations of the receiving State, subject to the proviso, however, that the said laws and regulations must enable full effect to be given to the purposes for which the rights accorded under this Article are intended.